Medicine cannot specifically pinpoint the cause of FMS but they see traces of family heredity, it can be triggered by physical and emotional trauma like car accident and other psychological trauma. Illness such as osteoarthritis can awaken it. 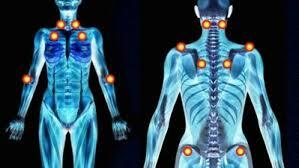 Fibromyalgia affect the way the brain processes pain signal thereby amplifies pain sensation. People with fibromyalgia (susceptible to women) suffers tension pain, temporomandibular joint (TMJ) disorders, irritable bowel syndrome, anxiety and depression. If we try to see some of TCM contribution to FMS, we shall discover that TCM had made progress in curbing pain which is the predominant symptoms of FMS. With our blog post, we try to introduce an early form of Tradition Chinese Medical (TCM) therapy to help for pains called zone therapy We also suggested a simple home TCM product for the pain Peppermint oil and Pain Relief. It is no longer news that almost 10 million persons with women carrying the highest number suffers from FMS and about 3% - 6% of the world population spread across both gender and age demography suffers from FMS. We in our previous post have discussed hemp-seed-oil and we established that when the hemp is processed in oil, the psychoactive compound (THC) is reduce thereby reduce its psycho-activity. So hemp oil well processed is not psychoactive (doesn't make you high) but it possess its ability to relieve pain. Pain which is a major symptom of fibromyalgia can be curb by Hemp oil popularly called CBD derived from the compound highly found in it called Cannabidiol (CBD) and low traces of Tetrahydrocannabinol (THC). CBD can be use to relieve pain dropping it sublingual (below the tongue). This works faster than ingesting it in food and capsules because it goes faster to the blood stream. It can be applied to our cooking like brownies and it could be taken as capsule form. It takes longer time to breakdown in food and capsule compare to taking it sublingual. It can also be applied on sore muscles through massages it takes effect immediately but last for a shorter while compared to when ingested. 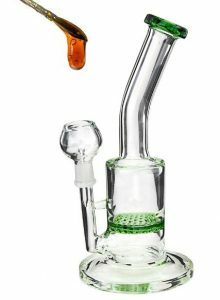 The quickest of all is to smoke CBD with a vaporizer or e-liquid oil.